We've finally, finally reached the era in sci-fi moviemaking where the special effects on screen look exactly as good as their creators want them to be. To say that James Cameron's Avatar ushered in a new era wouldn't be exactly right -- there are still plenty of movies whose computer effects are noticeably slapped together or end up bleeding into each other like a Technicolor nightmare soup -- but when an effects department puts the right amount of time, care, and attention to detail (and, well, money) into a movie, it shows. Alita: Battle Angel, Robert Rodriguez's adaptation of Yukito Kishiro's cyberpunk manga series, has been in development hell since the early 2000s, and thank god for that: The movie we get to see now, after nearly two decades of delay, is stunning. The plot, when the movie gets down to the basics, is pretty simple. In the far future, the head and torso of what looks like a cybernetic young girl is found in a scrapyard by Dr. Dyson Ido (Christoph Waltz), who works as a repairman for all the various cyborgs and people with machine parts who live in Iron City. 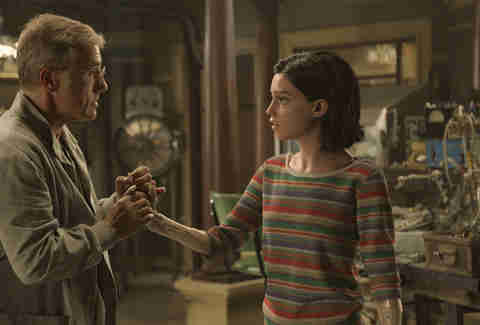 Ido gives the girl a new mechanical body and names her Alita, after she wakes up and can't remember a thing about herself. Iron City is presided over by a bigger, fancier floating city, the last of its kind that somehow survived a giant war long ago -- a war in which Alita played an important part, as she soon discovers. Meanwhile, she meets a boy, who introduces her to Motorball, a sport in which cybernetic people outfit themselves with armor and weaponry and race around a giant track, which is overseen by Chiren (Jennifer Connelly) and Vector (Mahershala Ali), with the latter spending most of his screen time leering behind a pair of dark sunglasses. Did I say the plot was simple? What's remarkable about Alita is how swiftly it introduces the audience to its world, offering layer upon layer of easily digestible exposition. Before you know it, you understand exactly what dire phrases like "before The Fall" mean, and what "URM" is. And when it's not building its world, the joys of this 70%-computer-generated film mean that the fights are actually coherent and fun to watch, the occasional slow-motion shot showing off just how intricate the art direction is. Alita finds out that she knows the lost martial art of "Panzer Kunst," which helps her handily defeat any bounty-hungry Hunter Warrior who tries to take her on. In the same vein, the Motorball sequences are some of the best animated race sequences since Speed Racer, yet darker and much more dangerous. The action is fast, yet the camerawork is precise enough that your eye never loses track of what's going on. And that's saying nothing of the mechanical bodies the cyborg characters inhabit, which are seamlessly combined with their real flesh-and-blood faces, hands, legs. One warrior's back is inlaid with gleaming pieces of metal that look like a Mayan calendar. 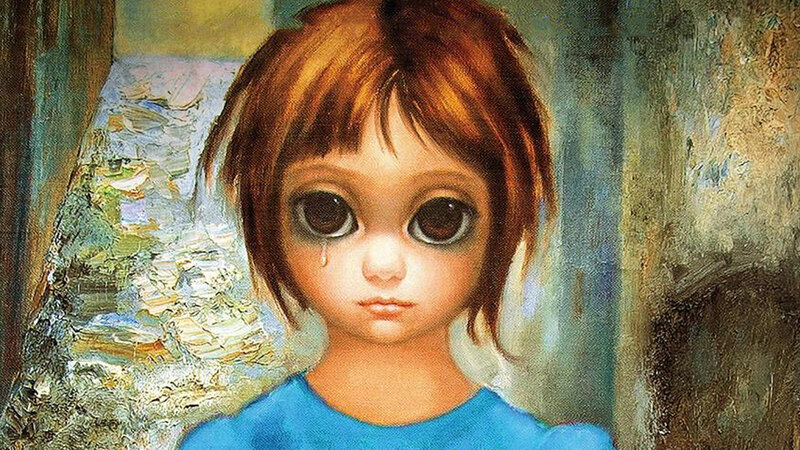 You forget that Rosa Salazar, whose face and body have been entirely replaced with animation, doesn't actually look like a person in a Margaret Keane painting. The new body Ido gives her looks carved from ivory and gold, and her face, instead of looking like a cutscene from a video game, moves and reacts like a real human face. The film is heavily advertised as being from the people who gave us Avatar (it was produced by James Cameron, who at one point wanted to direct it), and in some shots you can actually see sweat glistening from Alita's pores. It's as lifelike as animated cyborgs can get. In the past few years, we've seen a lot of live-action anime adaptations that have tried to translate the sheer weirdness of those stories onto a movie screen, and not many of them have succeeded. Two years ago, at around this same time, Scarlett Johansson's Ghost in the Shell crashed and burned due to an irresponsibly conceived story that put into stark relief the whitewashing of its main character. You could accuse Alita: Battle Angel of the same thing (none of the core cast of this anime adaptation is Asian), which is the more serious of two problems I have with it. The other is that the love interest, Hugo, played by the hapless Keean Johnson, is a real stick in the mud, woodenly delivering his end of touching exchanges with Alita. 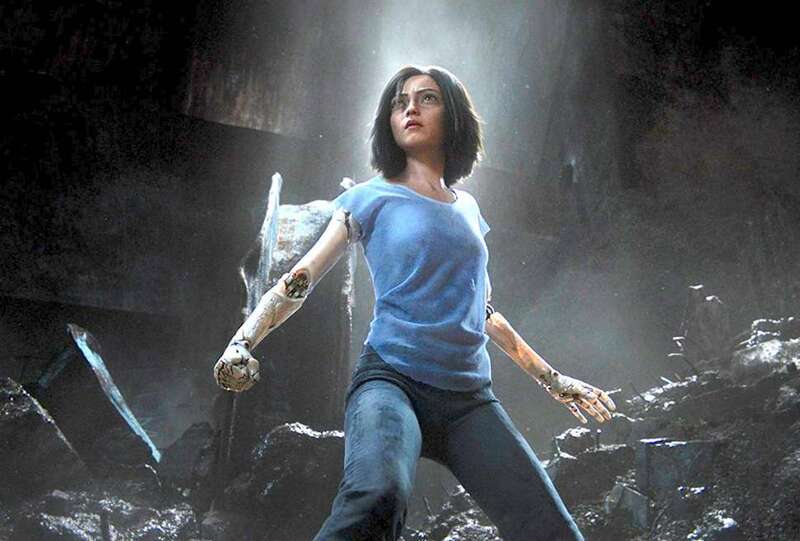 But even if Alita is, at its core, yet another story of a Special Girl finding her place in the world by kicking and punching through anyone who stands in her way, Robert Rodriguez directs the action and visual sequences with such graceful, artful style that the technology behind the animation makes the movie work. It also ends with a very obvious play for a sequel, which I hope to god it gets. When Alita was first being planned out, James Cameron wanted it to be the first in a possible trilogy. This movie proves that, finally, Hollywood not only has the technology, but the imagination necessary to do a great story justice.